One of the more overlooked guards in the not just the ACC, but the entire country, Mitchell is the definition of solid. In what will be his third and final season at Clemson after transferring from Vanderbilt, Shelton will be expecfted to provide a bit more offense than in previous years. The loss of seniors Gabe Devoe and Donte Grantham leaves a significant amount offensive production to be replaced. 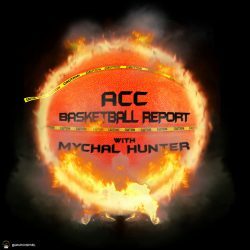 While some project Amir Simms to make the jump production wise, I think Clemson would benefit the most from Mitchell being a little bit more selfish. In his two seasons at Clemson, the Tigers are 12-6 when he scores 15 or more points. Last season Mitchell averaged 12.2 points 3 rebounds and 3.6 assists. If Shelton can get his three point percentage back up above 40% (he shot 45.3% in 2016-17) he can easily get to the 15 point per game mark. A crafty point guard who is effective in both the open court and running sets in the half court, Mitchell teams with Marcquise Reed in what is possibly the most talented and most experienced back court in the conference. Look for the Tigers to be dancing again in 2019 barring any sort of injuries.